This class is packed with twirls, wiggles, and giggles and is designed to enhance your child's motor, listening, and social skills. Children will love bringing to life fun stories through ballet and tap! Leap and dream while learning the fundamentals of classical ballet and tap with engaging music and fun props! We will focus on rhythm, counting, group cooperation, all while stretching our imaginations and toes. Hip Hop Ya Don't Stop & Every day were Shuffling! Get moving in the high energy class. Your child will learn rhythm, coordination, timing, gain confidence, strength, and thrive while learning fundamentals of tap and hip hop. (Dancing & music are age appropriate. This class is packed with bright smiles, beautiful ballet, and snazzy jazzy dance moves! Your child will gain grace, poise, flexibility, and balance all while learning classical ballet. This foundation is built upon in jazz with stylized movement, that will build self confidence and strength set to upbeat age appropriate music. Moms, Dads, Grandparents or Caregivers- bring your kiddos and join us for some fun. Children will gain coordination, confidence, listening skills, balance, music interpretation, creative movement, and motor development! It's an excellent introduction to the magical world of dance and place to have fun and wiggle and giggle your time away! All students are welcome to participate in this fun inclusive dance classes designed for children with special needs. Your child will gain body awareness, social interaction, confidence, and creative expression in an environment where we truly celebrate each dancer! 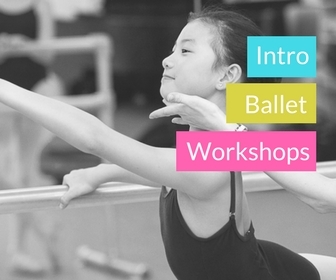 Welcome to the perfect class that will have you learning about ballet. This is a 5 week long program that you can drop in and take 1, 2 or all 5 classes.